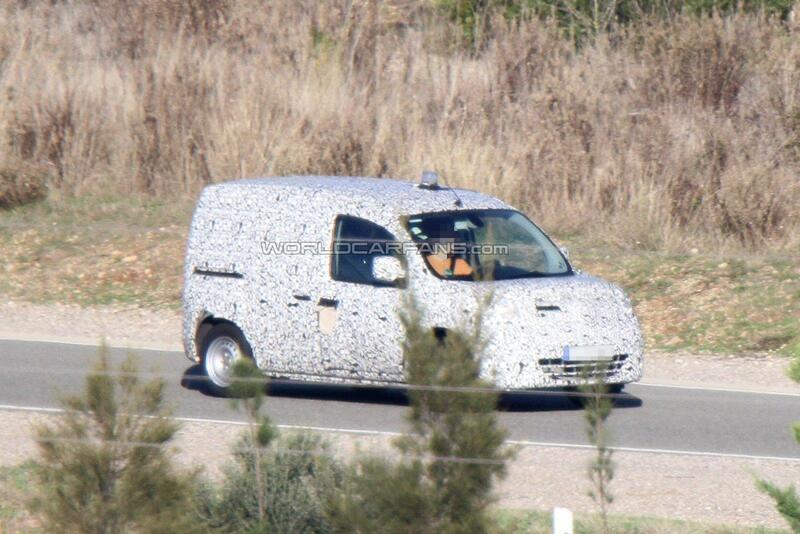 Using a telephoto lens, spies have caught the first images of Mercedes' new compact commercial van, dubbed City Van. 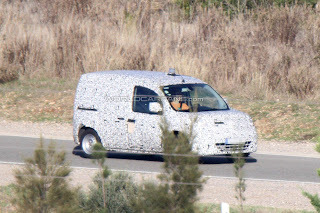 The prototype is wrapped in the same disguise Mercedes use on their commercial vans, industrial trucks, and buses, and sports a set of German registered number plates. 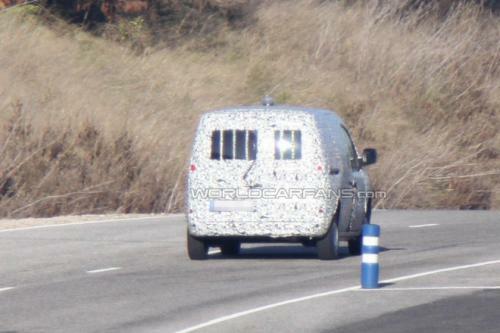 To cut development costs, the City Van will boast a slightly revised interior and fascias. The model comes from a global alliance between Daimler and Renault-Nissan that was announced last year and will go on sale in Summer 2012.